D-Day - this impression is about bringing as much as you can into battle and you can never have too much on you and stuffed into your pockets. See our impressions page for details on how to wear the gear. 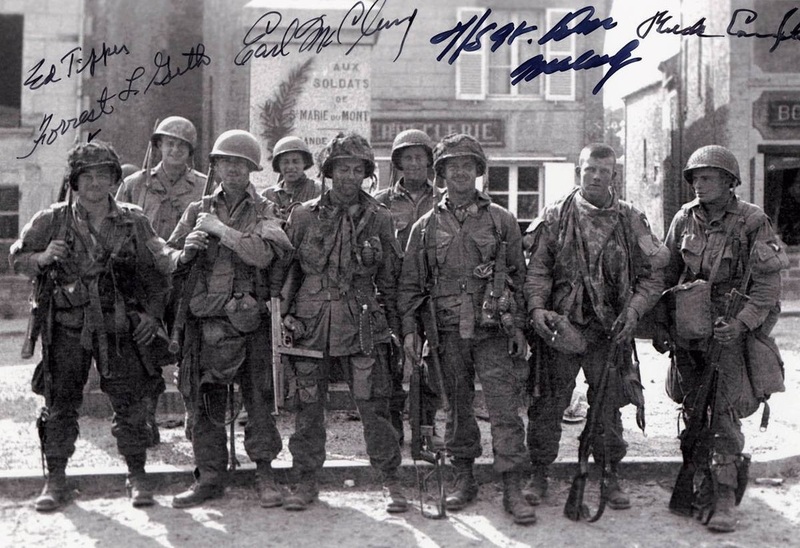 One of my favorite pictures above of Easy Company 506th "Band of Brothers" - you can see that while personal preference varies as to exact gear each trooper decided to wear, they all had a lot of it and in multiple configurations. 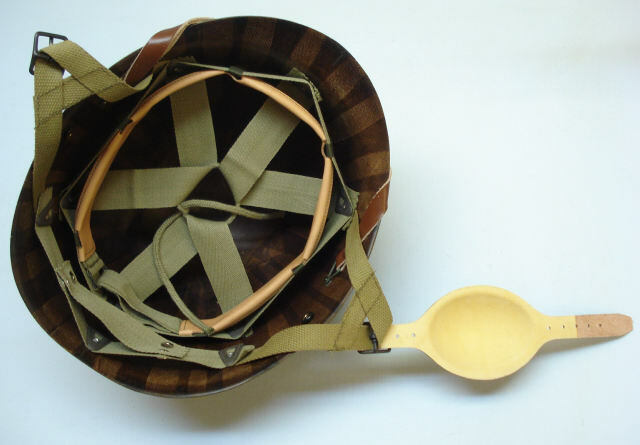 Optional D-Day items to make your impression even better. Optional Market Garden items to make your impression even better. 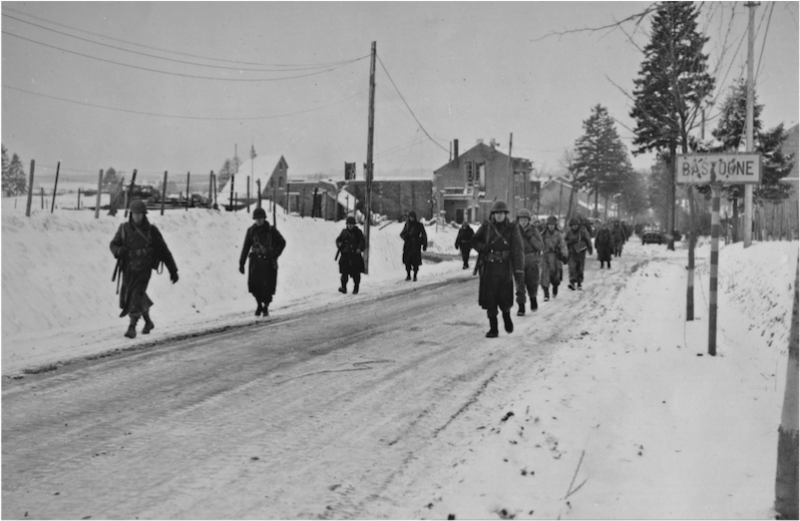 In the above pictures you can see that Airborne troops did not bring much with them in the way of equipment into the Bulge. Optional Bulge items to make your impression even better. Consider also putting together a hobo roll. Take a shelter half or blanket and roll them up. Tie with extra bootlace or twine and wear on your back. 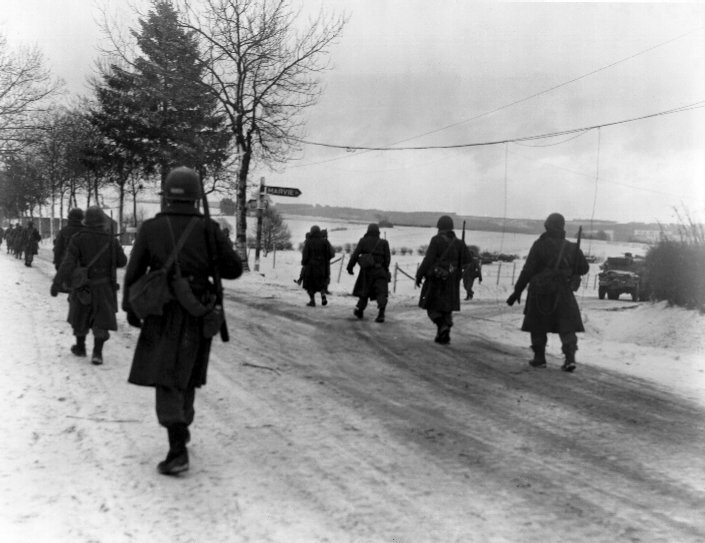 This became more popular during the Battle of the Bulge. 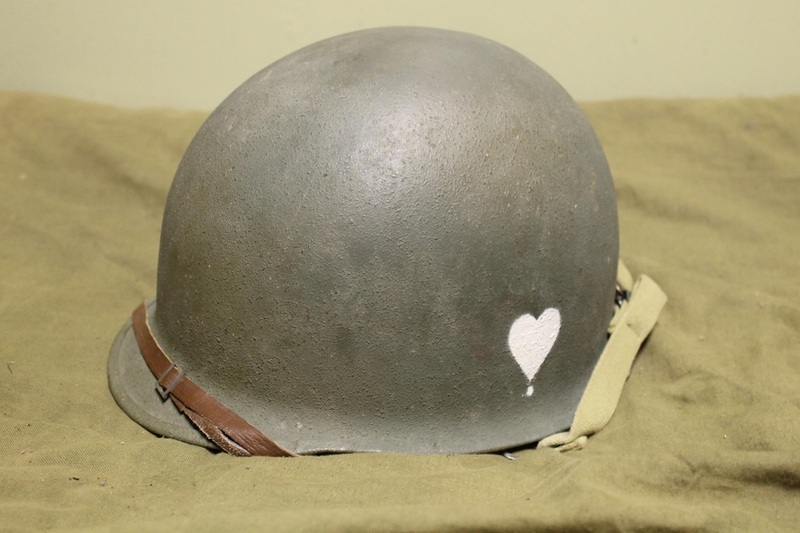 I've explained a little bit about the helmets for each impression with overall wearing of the gear on the impression page, but I’d like to dive just a bit further down the steel pot rabbit hole to clear up a few misconceptions. Each time you gather up your gear for an event, look at your helmet. Have you changed it to fit the impression you will be wearing? You should have. 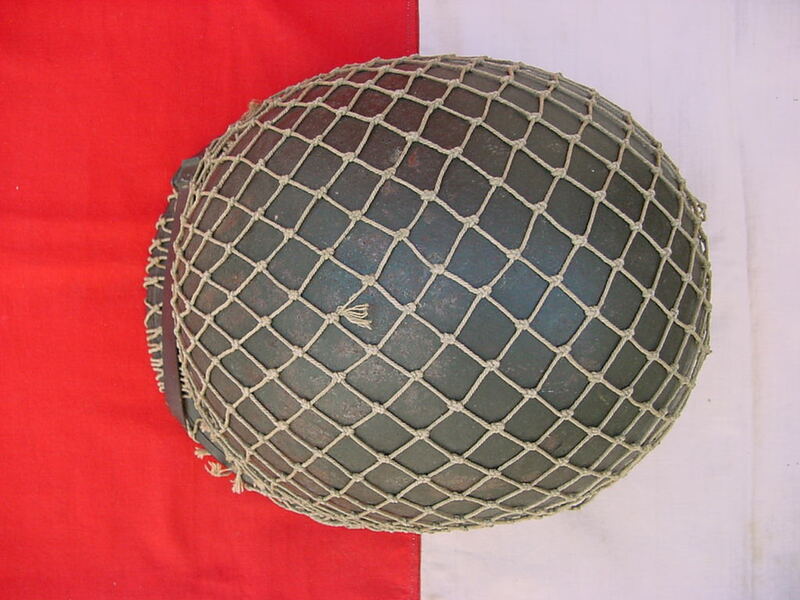 The helmets, and more specifically what went on the helmet, changed drastically throughout the course of the war. time of D‐Day. Like, not at all. Ever. Below right is a picture of the correct goggles to wear. 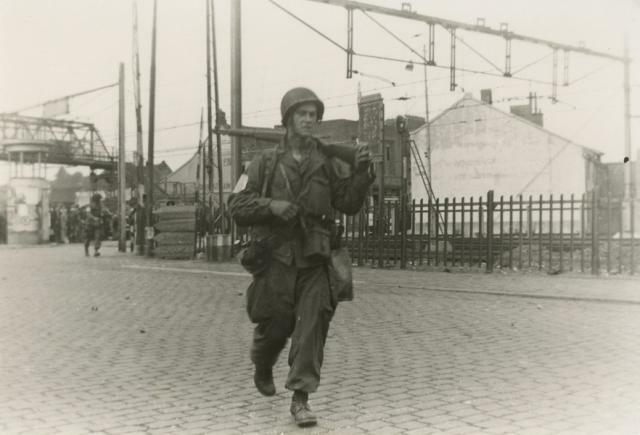 Market‐Garden saw a few changes to the helmets. Most notably, the lack of scrim on most helmets. 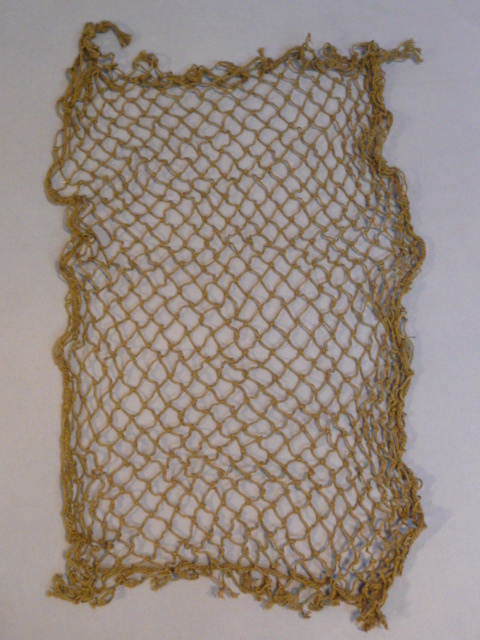 There were still a few guys who used scrim, but the vast majority went with a net alone. 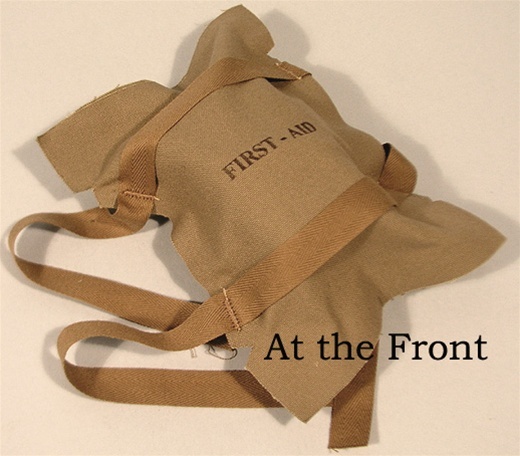 Also, as I mentioned earlier, it was very common to see the para first aid kit attached to the net for this campaign. Finally we get to the bulge. From this time, all the way through the end of the war, helmets were naked. No scrim, no net. Nothing. 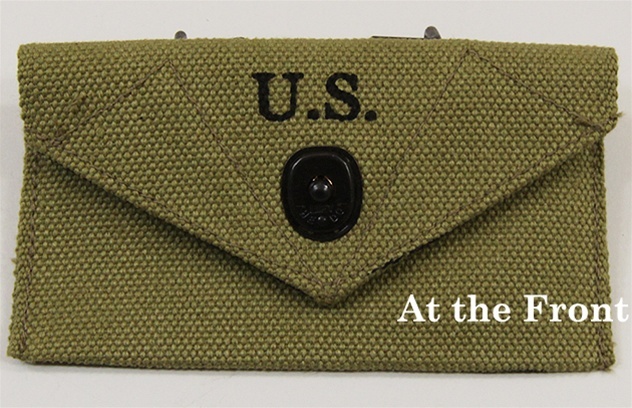 The only exception to this rule is the use of a white cover, which a few guys did during the bulge. But the vast majority of guys went naked. And after the bulge ALL the troopers had naked helmets. All of them. A great note is also the color of the chin straps. WWII helmets had lighter shades of green to the khaki color shown below. 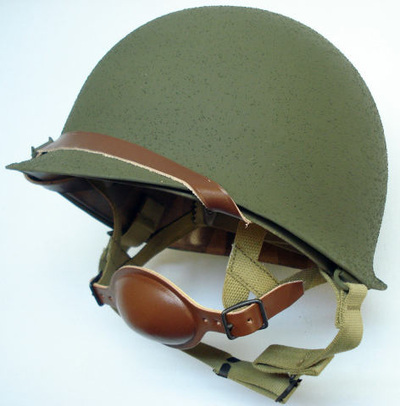 If your helmet has super dark olive drab it is most likely a Vietnam or later helmet. 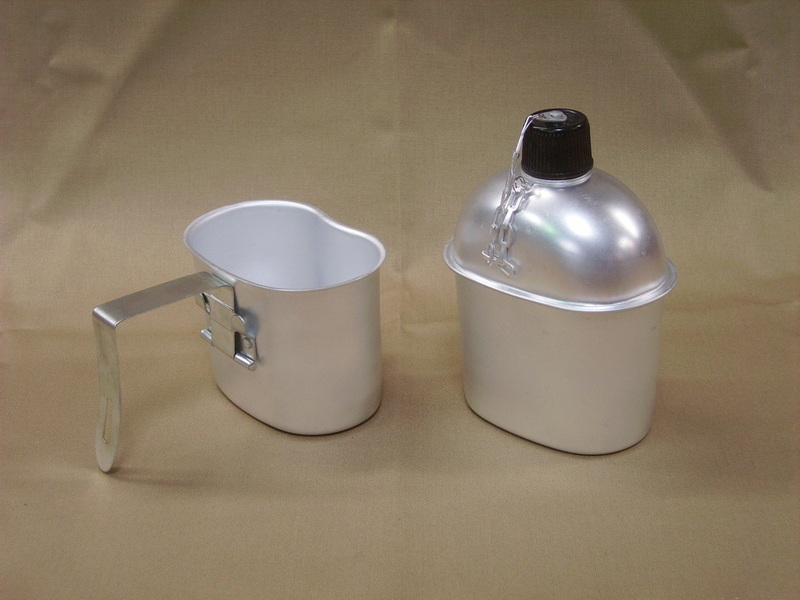 We understand that this hobby is expensive and having a period correct liner will take time, but with a few inexpensive purchases from Top Pots (see link in link section) you have make your helmet look more correct. glasses that looked like this. I have never seen a photo of paratroopers wearing sunglasses in the weeks leading up to D‐Day or during the Normandy campaign. 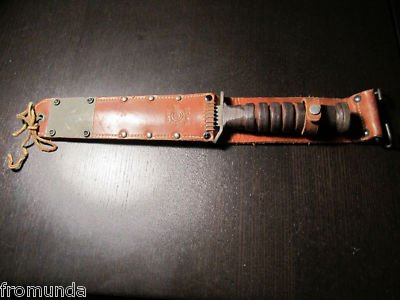 Now lets talk about trench knives. I saw a video on YouTube this summer in which Jim Martin of the 506th PIR 101st says no one in his company was issued trench knives. 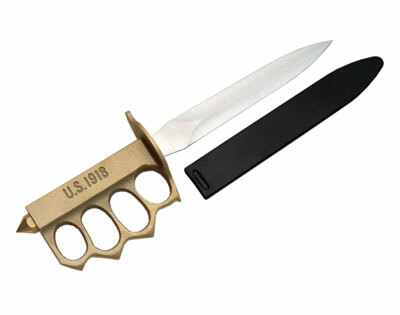 That may very well be true, but I can assure you that most every platoon/company/battalion/regiment in the 502nd PIR 101st was issued trench knives. So now that that’s out of the way, lets talk about the sheaths. 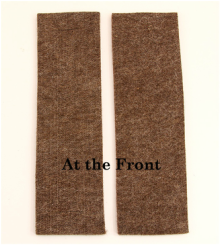 If you are at a D‐Day event, you must use the leather sheath for the M3 (below left). 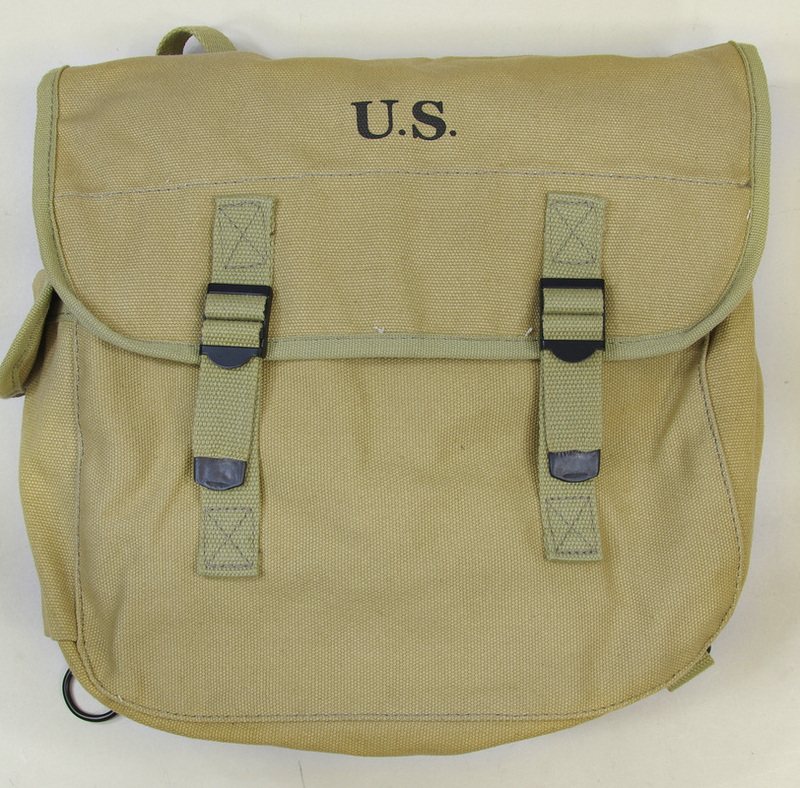 The green plastic one had not been issued yet, and thus was not worn on D‐Day. It started to pop up after that. 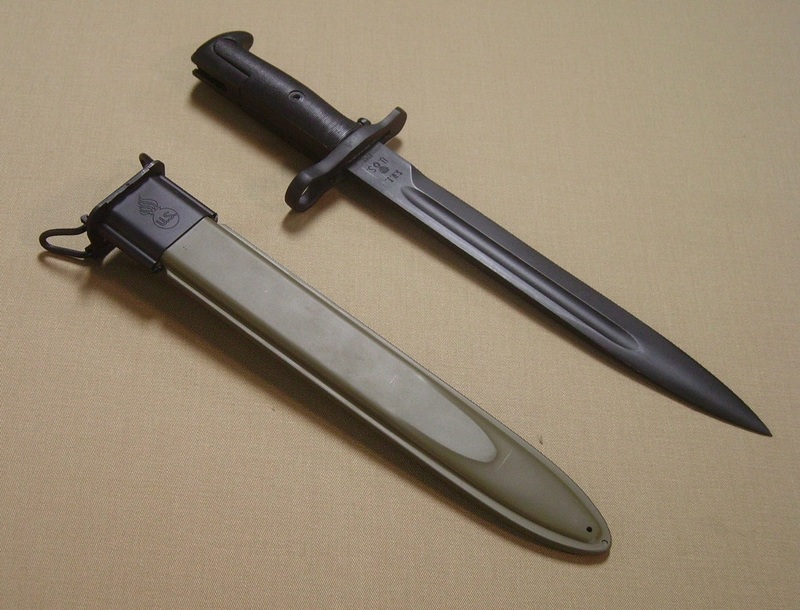 My general rule is if the event is a bulge or later theme, wear the plastic sheath (below right). 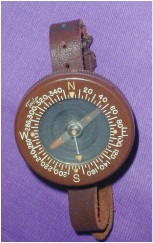 Before that, the leather one was much more common.